As an affiliate marketer, it’s very important that you understand the legal requirements for your business. The Internet at one time was the Wild West and there weren’t very many laws surrounding an online business. But those days are over and more and more regulations have been put in place to protect consumers. As an affiliate marketer, you have to understand the law and how it applies to you. It’s important that the site where you promote affiliate products includes a legal disclosure as required by the Federal Trade Commission (FTC). You may think that this won’t apply to you if you’re not based out of the United States. However, the law applies to any entity doing business in the United States. So if you’re counting on customers from the States, you’ll need to follow this law. This is a statement to tell your readers that you may be providing paid endorsements and making money from your site. You must also make sure your endorsements and any information you provide is true and accurate. This can be a very simple statement that’s located somewhere on your site that educates consumers who visit it. Making a statement like that can help to soften the disclaimer. But then you also have to back up the statement by behaving accordingly. To have a long-term career as an affiliate marketer, it’s important to promote products that are high quality and to be honest in your reviews. Finally, it’s important to understand the consequences of not following the FTC law. At this time, there’s no specific fine associated with violating the law and the agency says that violators will be considered on a case-by-case basis. There have been some high profile cases in the past year of marketers who used fake news sites to sell products along with false endorsements. That action cost the defendants millions of dollars. While it takes some time to build a large enough business to warrant that kind of attention, it’s always best to follow the law from the start. 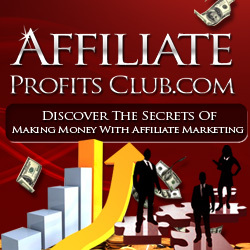 Affiliates should be abiding by the law in order to grow and protect a business.